The new gross domestic product data put out by the Ministry of Statistics and Programme Implementation have puzzled economic advisors in the finance ministry, too. They advise caution in interpreting these and sought to temper a hype among certain quarters in comparing India’s economic growth with that of China..
“...the balance of evidence and caution counsel in favour of an interpretation of a recovering rather than surging Indian economy,” said the Survey, penned by Chief Economic Advisor Arvind Subramanian and his team. 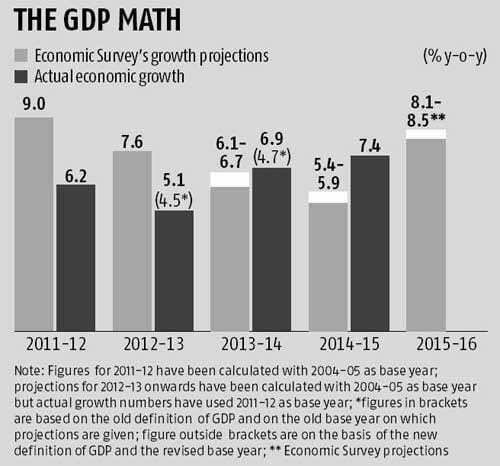 The Survey pegged economic growth at 8.1-8.5 per cent for 2015-16, up from 7.4 per cent calculated in the advance estimates for 2014-15. At a press conference here, Subramanian told reporters he wanted to place a caveat here. “When anyone sees a number like 8, 8.5, this is (interpreted as) roaring, east Asian style, Chinese style, roaring dynamism in growth.” Too early for such inferences, that India’s economy was growing like the East Asian tigers of yore, he said. The new GDP numbers pegged India’s growth at 6.9 per cent for 2013-14 and 5.1 per cent for 2012-13. It is this number of 2013-14 which have surprised the advisors. These seem difficult to reconcile with other developments in the economy, as 2013-14 was a crisis year. “...capital flowed out, interest rates were tightened, there was consolidation—and it is difficult to see how an economy’s growth rate could accelerate so much in such circumstances,” the Survey wondered. Also, imports of goods in 2013-14 apparently declined by 10 per cent, which, even accounting for the squeeze on gold import, is high. “This growth surge also appears to have been accompanied by dramatic declines in savings and investment ratios,” economic advisors said. 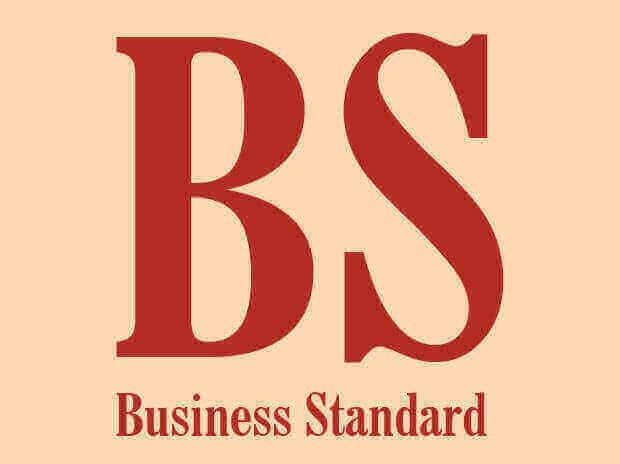 The implication is that the growth surge in the crisis year of 2013-14 was also a massive productivity surge, reflected in an incremental capital ratio that declined by about 30 per cent, and total factor productivity growth that improved by over two percentage points, the Survey said. The data show private corporate investment increased robustly in 2013-14, seemingly at odds with stressed balance sheets and the phenomenon of stalled projects, Subramanian and his team said.